On the 3rd March, Gill Elstub & Russ Bickle ventured to Kent to compete in the Hole Park Trail 10k. Hole Park is notorious for being tough and this year was no different. Despite the strong winds and undulating course, Russ and Gill both finished in great times earning themselves some silverware! Day 2 of Hole Park, hosted by Tri Spirit Events saw Simon Taylor return for the Triathlon England National Cross Duathlon Championships and Richard Young compete in the Sprint MTB duathlon. Both athletes did extremely well in miserable conditions, finishing 02:35:31 and 01:46:36 respectively. "It was quite an experience. I was truly humbled and touched by everyone's support." You can read Rachel's experience first hand on the forum here. 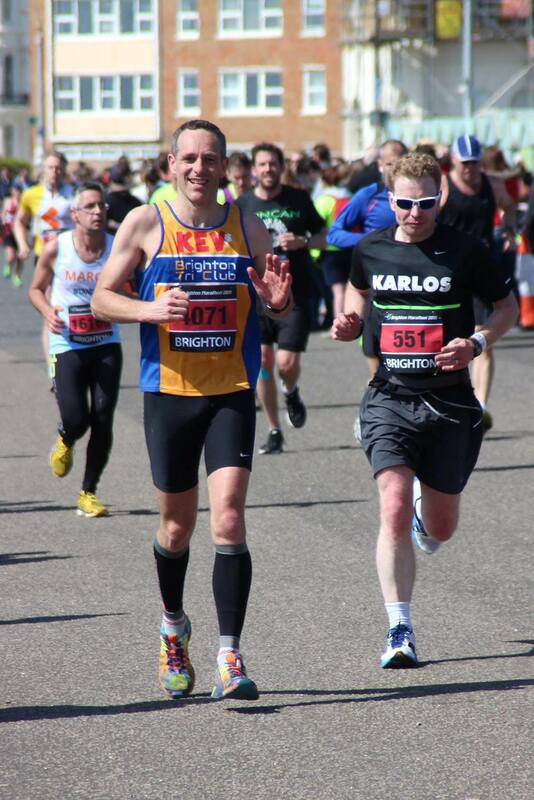 The Brighton Marathon had 12 Blue & Gold vests in the line-up this year! 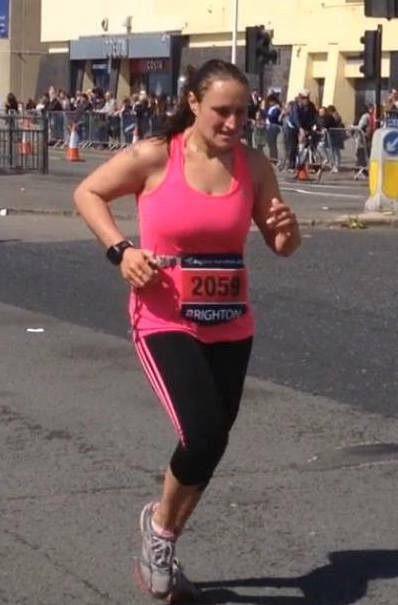 The weekend of the 12th was a flurry of running events starting with parkrun on the Saturday morning, followed by the Mini-mile, the 10k & then the Marathon. Thanks to Gill, as well as runners, Bri Tri had an organised cheering team to ensure everybody heard a cowbell as they went past! 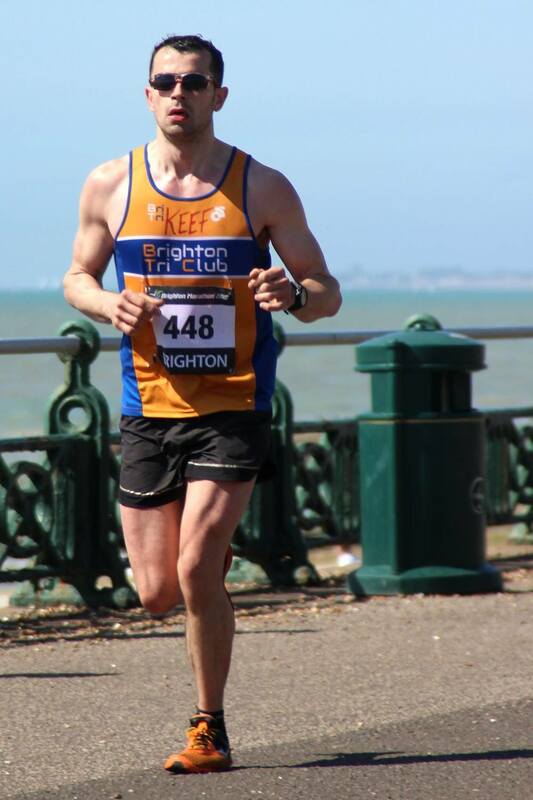 There were some fantastic efforts out on the iconic marathon course, notably Keith Rochfort who joined the sub-3hr club and who will now be automatically entered into the London Marathon, and a persistent (and impressive) Russ 'Thorpedo' who completed the marathon barefoot. Other finishers included (in no particular order) Kev Hancock, Mark Lewis, Adam Booth, Mark Templeton, Ben Melton, Simon Lenton, Amy Jordan, Mark Derry, David Liddle and Mark Seacombe.